Set over 23 floors with two apartments available on each floor, The Apartamentos Playamar is set in a handy location in Benidorm and offers great views of the popular tourist spot. The property hosts a range of on-site amenities to suit all guests, including Wi-Fi, a bar, a swimming pool, plus all of the apartments have fully-equipped kitchens as this is a self-catering property. 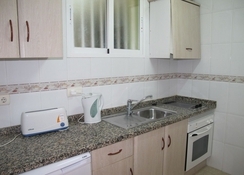 There is a large supermarket just a few hundred yards away from the apartments, where guests can top up their groceries. You will be in a good position to explore the rest of Benidorm and everything it has to offer, including a lively nightlife scene, golf courses, water and theme parks as well as sandy beaches which are just a short walk away. 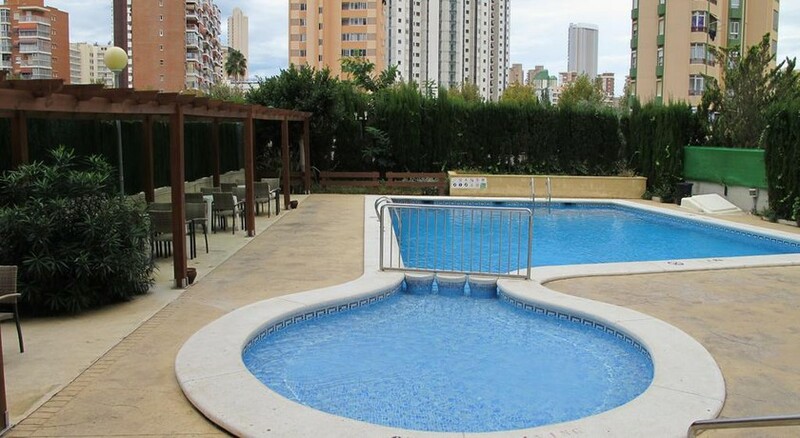 The Apartamentos Playamar is suited to couples, families with children and groups of friends who want either a relaxing or energetic holiday in Benidorm. The Apartamentos Playamar is less than a mile away from the popular Levante Beach and is close to all the main tourist spots in Benidorm. This includes the Aqualandia Water Park (1 mile), Terra Mitica Theme Park (3.1 miles), Plaza Mayor Square (1.5 miles), plus several golf courses in the area as well. The Alicante International Airport is 30 miles away. 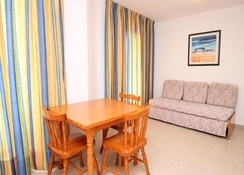 These self-catering apartments offer two options – One Bedroom apartments. One Bedroom apartments sleep up to two adults . There is a living area as well as a fully-equipped kitchen and a large balcony, where you can enjoy views over the resort. Each apartment has satellite TV and air conditioning. These apartments are self-catering, therefore have fully-equipped kitchens so guests can prepare their own meals as and when they wish. There’s an on-site bar which has a range of alcoholic and non-alcoholic drinks availabe too. 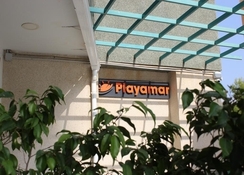 The location of the Apartamentos Playamar means that guests can easily explore outside of the resort and head into central Benidorm for a variety of food and drink establishments. There is a supermarket just a few hundred yards away too. The Levante Beach is close by to the hotel and offers a variety of watersports activities during the day, while there is a swimming pool at the hotel. Golfers can make use of the Las Rejas Golf Course and Villaitana Golf Course which are only a few miles away while Benidorm’s lively nightlife scene with its host of bars and clubs is also only a short distance from the Apartamentos Playamar. A damage deposit of EUR 200 is required on arrival and this amount may vary according to the room type reserved. Ironing facilities at an extra charge to Irons can be borrowed from reception free of charge. Firstly i would like to say what a great holiday from start to finish that was booking,flights and transfers. On the hotel i cannot believe it only has 2 stars. it was clean very spacious 24 hour manned and very friendly. I am booking with teletext again for the same hotel.